Which startups have the most promising technologies? The Tech Trailblazers Awards, first annual awards program for enterprise information technology startups, today announced the opening of voting for shortlisted finalists across the nine categories of Big Data, Cloud, Emerging Markets, Infosecurity, Mobile, Networking, Storage, Sustainable IT and Virtualization. The voting process is managed using technology by web-based ideation and innovation management pioneer Wazoku. 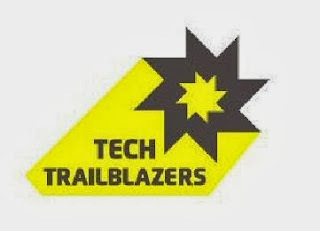 The winners of the Tech Trailblazers Awards will be determined by the voting public and the judging panel. Which startups have the most promising technologies? Discover the finalists and vote for your favorites now on the Tech Trailblazers website by clicking on the Vote Now tab. Voting closes at 23:59pm on Thursday 23rd January 2014. This second year of the awards has received an even higher level of high quality entrants, with an 18% increase in entrants, making the work of the judges even more challenging. The finalists showcase the finest of enterprise tech innovation that the world has to offer with representative startups from Argentina, Belgium, France, Iceland, India, Ireland, Kenya, Nigeria, Norway, Spain, the UK and the US. Here is an overview of all the amazing enterprise tech startups you can vote for over the coming months. Rose Ross, founder of the Tech Trailblazers Awards, commented, "The Tech Trailblazers Awards entries this year were even higher quality and gave our judges quite a challenge. The finalist's stories are very exciting and we look forward to seeing which will capture the imagination of the voters. We wish all the finalists the very best of luck." This year all the finalists will again be encouraged to promote themselves heavily and are being supported in this task by one of the awards founding partners, Mynewsdesk. Each finalist will receive a Mynewsdesk licence for the duration of the finalist phase to promote its entry to the voting public. Adam Cranfield, Chief Marketing Officer at Mynewsdesk explained, "No-one doubts the power of positive publicity for any company's success. However, it is even more vital for young companies, especially enterprise technology startups. Often with powerful, but sometimes complex ideas, having a comprehensive news platform like Mynewsdesk is an essential springboard for them to be seen, heard and subsequently be successful. We are looking forward to working with these amazing finalists to help them spread the word and attract votes."